Turkey tag plus habitat stamp. I've never hunted Colorado, but have flown there to chase turkeys in nearby Nebraska. There's surely a story between the lines there. In truth, Colorado turkey hunting is an opportunity to enjoy a Western experience chasing longbeards. For the most part, sources say getting a tag is easy if Merriam’s are on your Slam list; however, if your goal is a Rio here, it can take several years to draw a tag for the river bottom regions of the Eastern plains. As cost goes, Colorado is also affordable for both residents and non-residents alike. You only have to buy a tag and habitat stamp to hunt; no general hunting license is required. Most of the western portion of the state is National Forest, BLM and state lands. As a result, finding a place to hunt with good populations is typically not a problem. In fact, most Colorado turkeys live in these vast chunks of public ground and annually about 25 percent of hunters find success there. For those lucky enough to chase Rios on the Eastern plains, success rates for turkey hunters are much higher, hovering around 50 to 75 percent. How many turkeys are estimated to live in Colorado? According to current data from the National Wild Turkey Federation, 27,000 Merriam's and 3,500 Rio Grande turkeys are found here. And to follow my lead point, not as many as Nebraska (around 145,000 roam there). However, Colorado terrain can be physically demanding, which can make for a tough turkey hunt. So there's that if you want a challenge. The Merriam's population lives in some rugged country; their nomadic traits can really spread them out and test your patience. 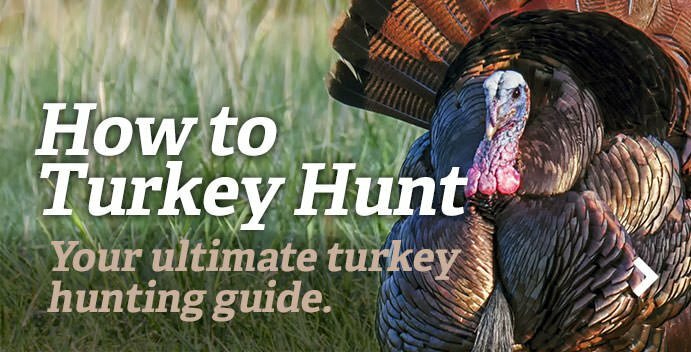 You can go for hours, even days, and not hear a gobble. The hunters who stick with it are usually the 25 percenters. Baker points out no other western state holds the amount of over-the-counter units or public hunting opportunities; and when you consider the amount of birds living here, it’s an excellent place to take both a Merriam's and Rio Grande wild turkey (assuming you draw the latter tag). But wait, you want to hear about the white-tipped tail fans. Merriam’s are Colorado’s prime species and are located west of Interstate 25, and along the southern portions of the Front Range. Rios are also present but limited to the river bottom habitat of the Platte and Arkansas rivers, as well as other tributaries in the eastern portion of the state. Season dates start in early April, so expect the possibility of snow . . .
And rain. And warm spring days. Weather is often unpredictable in Colorado. Fun Fact: Without question, the best locations for the over-the-counter hunter to bag a Colorado Merriam's are the Southwest and Western regions, and along the Southern Front Range. Top-producing counties include Archuleta, Delta, Garfield, Mesa and Yuma. Not only do the Southwest and Western regions boast the greatest density of Merriam's turkeys but it's also where public-land hunters find the highest success.